This article is 2615 days old. An open house will be held this Thursday by the Essex Region Conservation Authority and City of Windsor to provide opportunities for the public to ask questions and receive information about the Grand Marais Drain Channel Improvements. 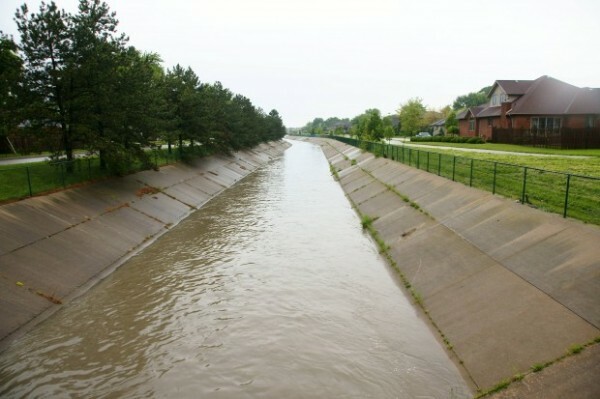 The Conservation Authority reports that the existing concrete-lined portion of the Grand Marais Drain between Dougall Avenue and Huron Church Road is over sized and in need of substantial repairs. In 2010 they had commissioned a study aimed at identifying alternative channel designs to improve the drain with an emphasis on establishing a more sustainable, ecologically desirable and aesthetically-pleasing flood control channel. Following an open house in November, they are now looking for public input on the conceptual channel options that have been developed. The open house is taking place at the South Windsor Recreation Complex located at 2555 Pulford Street on Thursday February 23rd 2012. There are two sessions available: from 1pm until 3:00pm followed by an evening session from 6pm until 8pm.